As Apple’s legal battle with the FBI over encryption heads toward a showdown, there appears little hope for a compromise that would placate both sides and avert a divisive court decision. The FBI is pressing Apple to develop a system that would allow the law enforcement agency to break into a locked iPhone used by one of the San Bernardino attackers, a demand the tech company claims would make all its devices vulnerable. In an effort to break the deadlock, some US lawmakers are pushing for a panel of experts to study the issue of access to encrypted devices for law enforcement in order to find common ground. But digital rights activists warn that the issue provides little middle ground — that once law enforcement gains a “back door,” there would be no way to close it. “We are concerned that the commission may focus on short-sighted solutions involving mandated or compelled back doors,” said Joseph Hall, chief technologist at the Center for Democracy & Technology. Kevin Bankston of the New America Foundation’s Open Technology Institute expressed similar concerns. “We’ve already had a wide range of blue ribbon expert panels consider the issue,” he said. The debate had been simmering for years before the Apple-FBI row. “I’m not sure there is much room for compromise from a technical perspective,” said Stephen Wicker, a Cornell University professor of computer engineering who specializes in mobile computing security. Opening the door to the FBI effectively makes any data on any mobile device available to the government, he said. “This is data that was not available anywhere 10 years ago, it’s a function of the smartphone,” Wicker said. 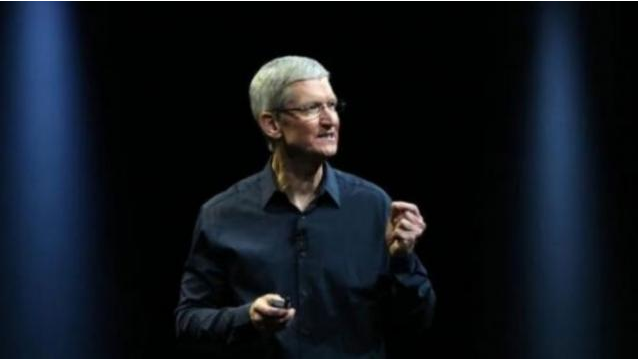 Apple has indicated it is ready for a “conversation” with law enforcement on the matter. But Black said the tech sector is largely united in this case because the FBI wants Apple to create weaker software or introduce “malware” to be able to crack the locked iPhone. “On this narrow specific issue of ‘can companies be compelled to create malware,’ I think there may not be an answer,” he said. Law enforcement fears about “going dark” in the face of new technology have been largely exaggerated, Black said. While access to encrypted apps and smartphones is difficult and traditional wiretaps don’t work on new technology, “there are a lot of other tools for law enforcement,” he said. Although law enforcement has growing expectations about using technology to thwart criminals, that type of power is too broad, Black added. “If they are seeking a level of total surveillance capability, I don’t see a compromise available,” he said. Wicker said that to give law enforcement access, Congress could in theory mandate that devices use automatic cloud backups that could not be disabled. But that would constitute a dramatic departure from current views about privacy.